Speaking at the IMB South Africa annual Think Johannesburg conference, Bridget van Kralingen, the senior vice president for global industries, platforms and blockchain at IMB said that everyone needs to become a coder. Here’s a sobering statistic from McKinsey: about 50% of all jobs could be automated by existing technology, states an Investec article. With these predictions, it makes sense to learn programming or coding skills, but how and where should you do this? We look at why you should learn to code in South Africa. South Africa doesn’t have enough developers to build a digital economy, states Quartz. Despite hubs in Cape Town and Gauteng for startups and tech innovators, there is a developer shortage. James Manyika, director of the McKinsey Global Institute, explains that the kind of jobs being automated are not just those requiring physical work but also what he calls “knowledge work” – cognitive tasks like image recognition and data analysis. Think about new jobs that have arisen in the South African and in the global context – uber drivers, 3D printing technicians, social media managers, web designers, etc. The dire need for programming skills is apparent if one looks at Careers24, one of South Africa’s top recruitment websites, with approximately 680 000 searches performed annually. Shaun Clarke, brand manager of Careers 24, explains on MyBroadband that there is consistent demand in the IT and engineering fields. In IT, vacancies exist in these fields: software developers, .NET developers, IT project managers, QA analysts, system administrators and Java developers. South Africa is likely to follow the global trend of a rising gig economy, according to Amanda Arumugam, senior associate at Bowmans on BusinessTech. What is the gig economy? It’s a freelance, flexible, on-demand labour market as opposed to the traditional nine-to- five concept of work, explains Arumugam. The idea is that workers are paid for each ‘gig’ they do such as a delivery, writing a blog post or designing a component of a piece of software. The focus is on independent contractors and short-term workers. According to a Wesgro and Cape Innovations and Technology Initiative report, which interviewed tech startup funders, the Western Cape is perceived as the best place for technology startups, reports IOL. Lifestyle was a key factor mentioned by these entrepreneurs, especially when compared with tech hubs across the continent. But Gauteng might still catch up. According to a 2018 Ventureburn Tech Startup Survey, Gauteng is home to 55% of tech startups, ahead of the Western Cape’s 37%. However, Western Cape startups tend to be more successful with a higher percentage turning a profit: 36% versus 22% in Gauteng. The bottom line, it seems, is that both cities offer a thriving tech startup culture and South African developers are in a position to plug into these innovation centres. 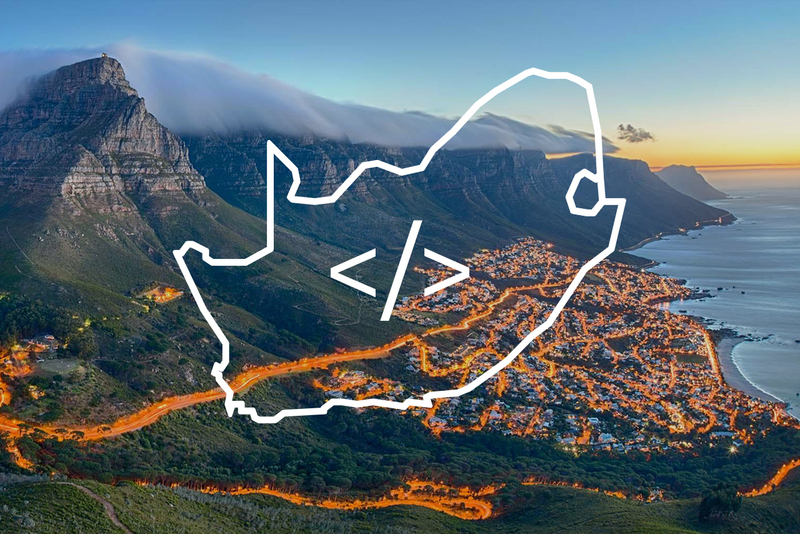 In conclusion, this article has mentioned a number of key reasons why you should learn to code in South Africa, including a high demand for developers, the rise of the gig economy in South Africa and a thriving tech startup scene in major cities. If you’re keen to find out more about various options – online courses versus computer science degrees – check out this piece. HyperionDev offers the following online coding bootcamps: Full Stack Web Development, Data Science or Software Engineering. You can also trial one of these courses for free.